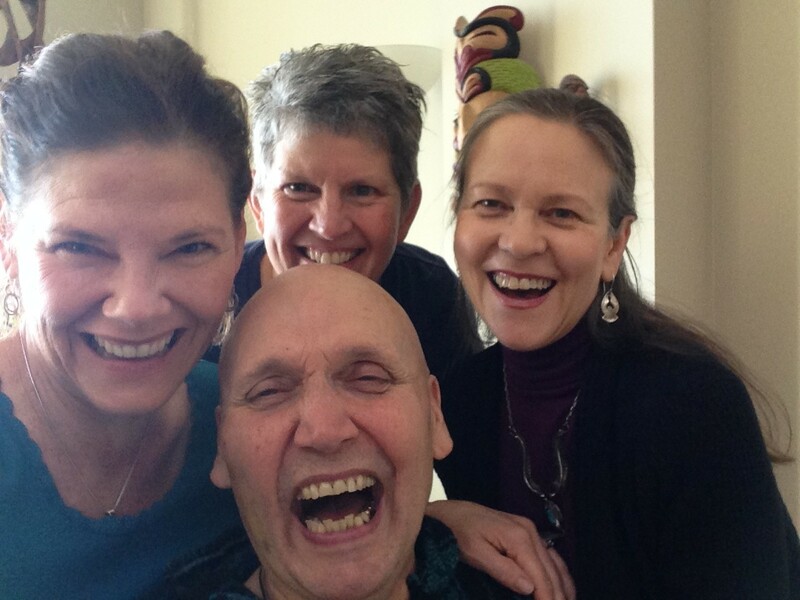 February 2014 - An Opportunity to Celebrate Life! A couple of days ago I sat looking at a wonderful wedding album of friends who had recently been legally married after thirty years of living and loving together. As I scrolled through the online album of so many friends and so much joy, my heart was full. Tears of joy flowed. One of those Miracle Moments with Ernie! As I was enjoying that moment an email came in from another dear friend Cathy who I had been thinking a lot about. I opened the email and the news was not good. She let me know my intuitive nudges were sharp, her husband and another dear friend, Ernie McNally, was not doing well. Ernie has been dealing with a brain tumor for a couple years now. We’ve been hoping for a living type miracle and frankly, some of the moments Ernie has shared with so many of us on this journey have been just that. Now it seems those type of miracles are shifting, and he is shifting to more non-physical than physical – a different type of miracle is underway. I sat silently as tears rolled down my cheek. The moment was powerful, because I was still so in touch with the joy of the living and loving of my friends’ wedding, and now the sorrow of the impending passing of a wonderful spirit moving on. My tears were filled with joy and sorrow. I will miss Ernie. We had some very powerful interactions. In some ways we are so very different, and yet under the surface, I believe, we each share a passion and intensity for life that is quite rich. Ernie challenged me. He was so openly big-hearted. His way with people was like a long, warm hug. Mine – well, not so much like that. Sometimes I wanted to see more of the fire in his belly, AND I feel fortunate that he always was willing to go to that edge with me. We wrestled with our differences, and I learned to trust his hug. I think he learned to trust my directness and intensity. Neither was our natural path. I wrestle with a desire to go and say good-bye, but I know his home is filled with so many friends and family that the my presence, though nice for me, isn’t what seems quite right. I will connect with Ernie a different way on his current journey. I know the space between the physical and non-physical world. As people travel, I can easily connect to those who are open to that possibility. So today, I am sitting and enjoying some of tunes I know we both love. I can see his spirit expanding and all that intensity is radiate. So I don’t need to say good-bye in person. Yes, I will miss my friend. I will miss his mentoring when I am too reactive and need someone to meet me there and talk me off the ledge. But I am grateful he isn’t going to have to live much longer in his physical body, that simply isn’t able or willing to carry him to the places and spaces he so loves any longer. Ernie, fly my friend. I know this is hardest for Cathy and indeed her loss of you is monumental. Just know – We got this! You can go and fly free now. Your kindness and generous spirit will not die, and we will hold and make a soft place for Cathy to land as she finds her footing without you by her side in this physical world. Life is such a tapestry of joy and sorrow. Filled with moments so special – like a wedding long overdue and a death that just seemed to have come a bit to soon. The tears of joy and sorrow flow freely as I connect to my friends. Why I Am a Seahawk Fan! 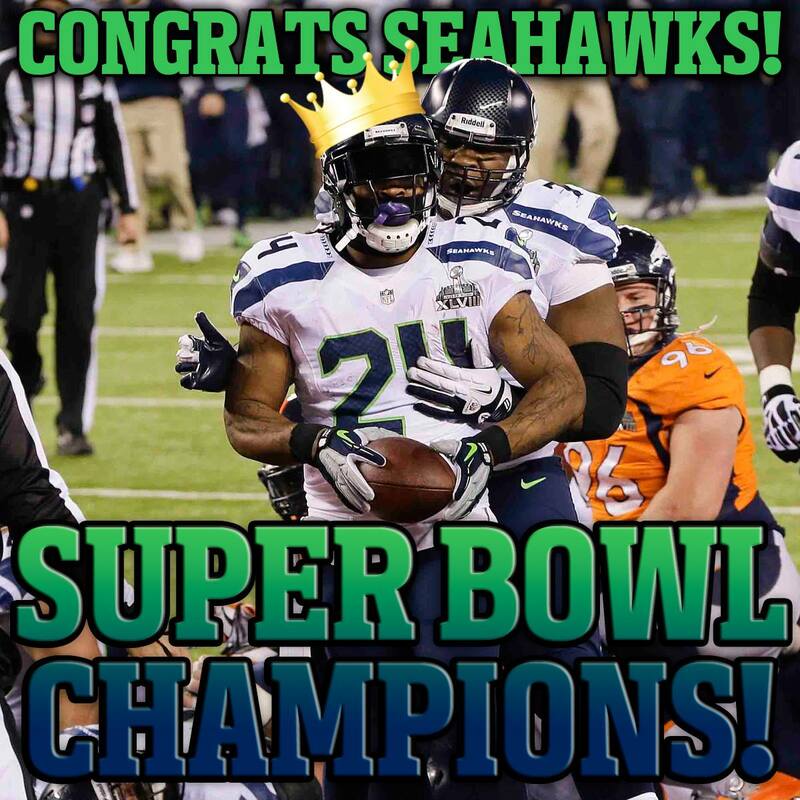 I am thrilled that the Seattle Seahawks won the Superbowl!! I won’t be in Seattle today for parade and celebrations, but I can only imagine how alive and energizing that will be. The last time Seattle won a national title I was there. But unlike the FOX news report stated, it wasn’t 1979 – no, the Seattle Storm, Women’s NBA team took the title in 2010 and 2004. Boy, I was disappointed that FOX omitted the women’s accomplishments, but that is not the point of today’s post. No, I love the Seahawks because as a team, they are doing something very different. For anyone who didn’t catch the ESPN Sports Illustrated Article in August 2013, let me just share, that the Seahawks are modeling everything I believe (and consult about) to be true about teams. If you want people to play together, you need to stop treating them like objects, let them be whole people, meaning bring their full-selves to what they do: mind, body, emotion and spirit. Teams are greatest when there are diverse personalities, open dialogue, healthy conflict and clarity around vision. That is true in sports, it’s true in business, in organizations of every kind – even in couples and families. What the Seahawks have created is a Smart and Healthy team and organization. Now they have a championship title to endorse this approach. I am hoping that Superbowl title will get people to see that being a whole person instead of just a useful object and leaning in to differences and healthy conflict not only makes life and work more fulfilling but creates great results! Even on a personal note, this Seattle Seahawk season has been significant. Yes, I’ve been a Seahawk fan since I lived in Seattle and enjoyed the last run to the Superbowl in 2006. But this year my entire family have become Seahawks fans. Now that may not seem like a big deal, but let me just say, we have not agreed on many things. Plus, I would definitely say my family is known more for it’s intellectual milestones than its athletic ones. However, our differences did not fracture us. We got some great support when we were at odds and not speaking. We were offered a different path, one where each of us could be whole and valued. So instead of letting those differences tear us a part, we learned to respect each others story and find a new common ground. That wasn’t easy, and it took courage on the part of everyone. No, there were no big parades or celebrations for our family effort. Still, in terms of AHA! Moments and life changing efforts, our family work was as good as it gets in terms of ROI. In some ways, this Seahawk season has been an odd collective journey for us. Everyone in my family has been wearing Seahawk gear and watching all the games. We talk about our favorite players and don’t always agree on who’s best or how to support the team. No, we are still quite different in our styles and opinions. We all have different reasons for loving the Seahawks and that just seems to fit. The Seahawks aren’t made up of just one type of personality – neither are we. Oddly, it is those differences and the respect for those differences that makes the Seahawks and us great! Whole People (body, mind spirit & emotions) + Whole Teams (Healthy Conflict) = Great Results! It’s not easy but it is worthwhile it in so many ways! !